BELLVILLE — The Clear Fork Valley School District board of education met with Joe Shrock, of Loudonville, at its meeting last week to talk about his bid on land auctioned off last Saturday in the village. Shrock, who owns construction and restoration businesses in Loudonville, put in the highest bid for the property, that includes about 50 acres. The board must vote on the bid at its next meeting. The date for that meeting has not been set. Shrock’s bid was $225,000 for the entire parcel, said school board treasurer Bradd Stevens. The school board had voted earlier to auction the land, at the urging of school board president Kyle Beveridge. About 20 people showed up for the auction Saturday, Aug. 11. The board offered the land first in parcels, then as a whole lot. Shrock has been in business in Loudonville for about 10 years. He is the owner of Shrock Premier Custom Construction and Shrock Restoration LLC. He and his son Samuel are participating in the project to develop the land in Bellville. Shrock said he started his business in his home, then expanded. He now operates out of an office on Main Street in Loudonville. Several years ago Shrock purchased the old Flxible Co. buildings, which had been used by a company which rebuilt old buses. Shrock is currently involved in several projects at Pleasant Hill State Park. He said he has moved into custom home building. Shad Remaley, of Wilson Realty, said the value of homes Shrock is proposing could range from $250,000 to $350,000. The board heard from Brad Geisman, of the Adena Corporation, about the status of the building projects in Butler and Bellville. Geisman said the project in Butler is still a bit ahead of the Bellville effort, but everything is coming in slightly ahead of schedule and under budget. Geisman said sidewalks and curbs are being put in, and some stone from the Butler site has been saved to put in a parking lot which can be used for football and soccer. Permanent power has been installed in both school sites, Geisman said. Some artifacts have been salvaged at Bellville, he said. The last bids for technology and loose furnishings have been submitted and approved, said Geisman. School board members asked about taking a tour of the buildings in conjunction with the next board meeting. Geisman said that could be done. 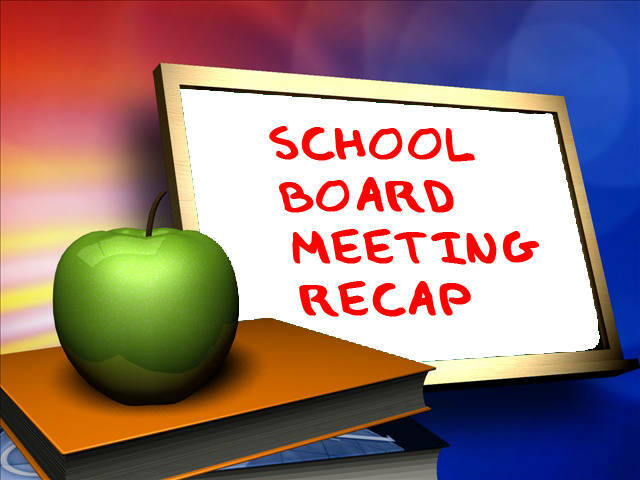 The board approved contracts for a number of new employees, and accepted the resignation of Douglas DeVito, who had been special education director.